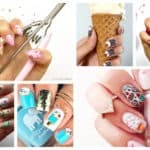 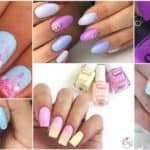 It’s time for some summer manicure ideas that will give you some awesome positive vibes and will make you want to be at the beach at the moment. 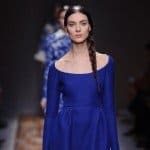 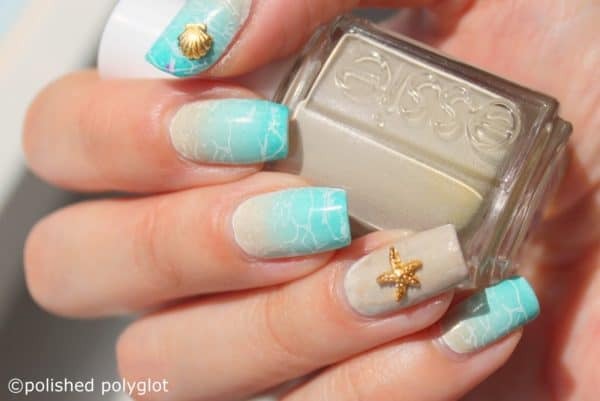 The beach-themed nails are perfect for the times when we are getting ready for vacation, and you are probably all so excited about packing your bags and rushing to those waves. 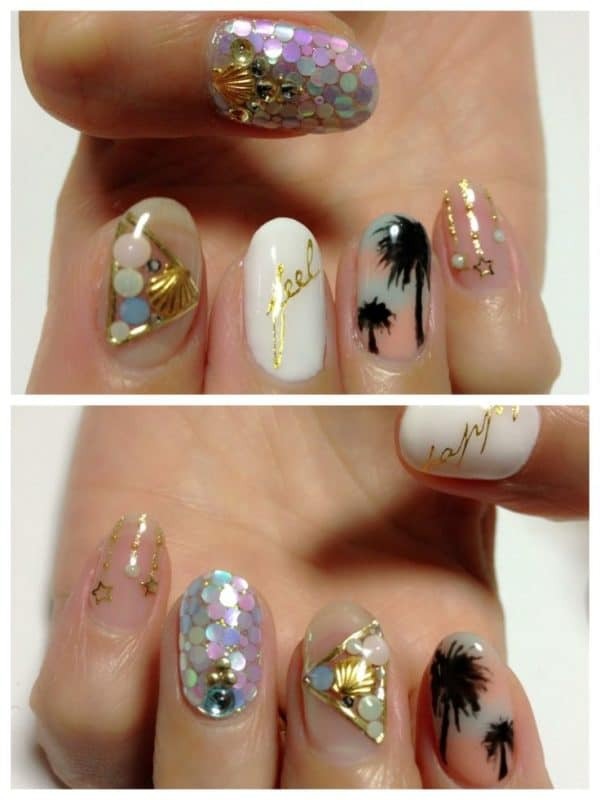 Even if you are not about to go to vacation soon, you would love to rock these nail arts at the office. 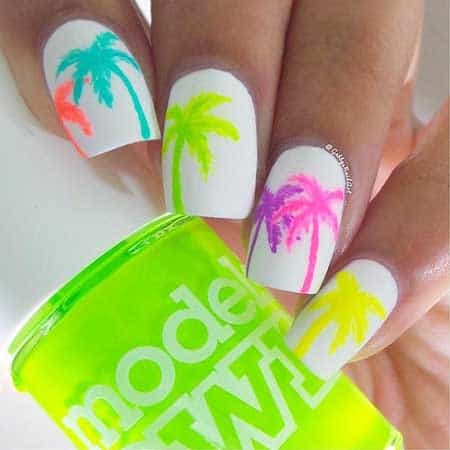 They will definitely help you escape the reality and will put you in the summer state of mind as soon as you see them. 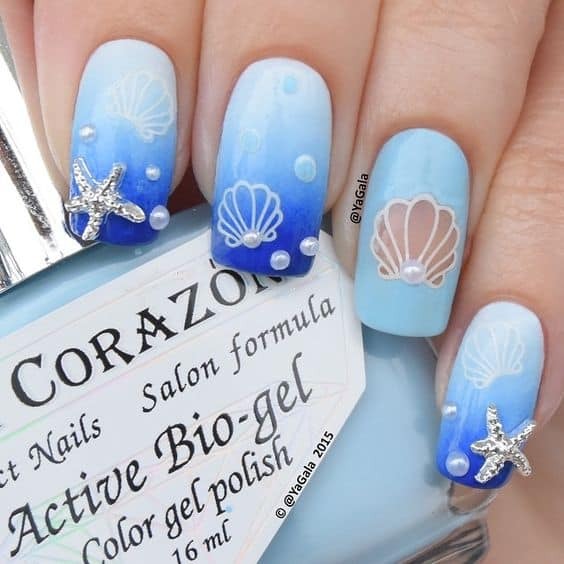 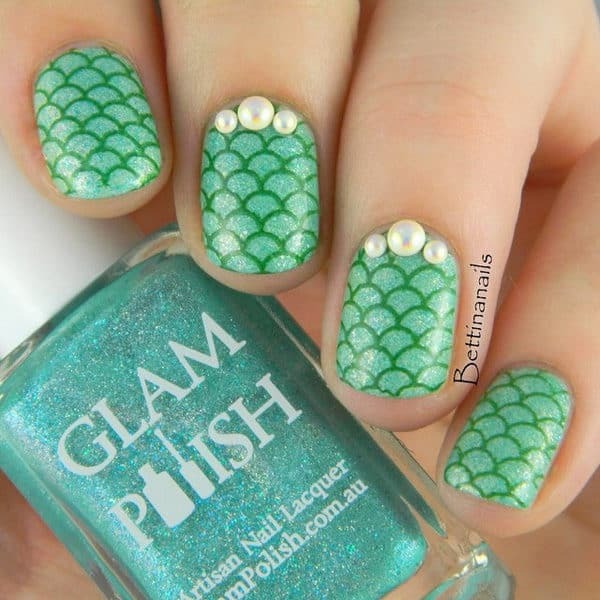 There are so many different ways in which you can put some ocean vibes on your nails, and here you will see lots of waves, sea shells, palm trees, pearls, sea stars, anchors, cocktails and so on… The Beach Nail Art That Will Put You In The Summer Mood is really versatile, and all of you will find something according to your taste and style. 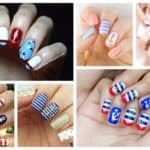 Scroll down through the photos below and see which one you would love to recreate first. 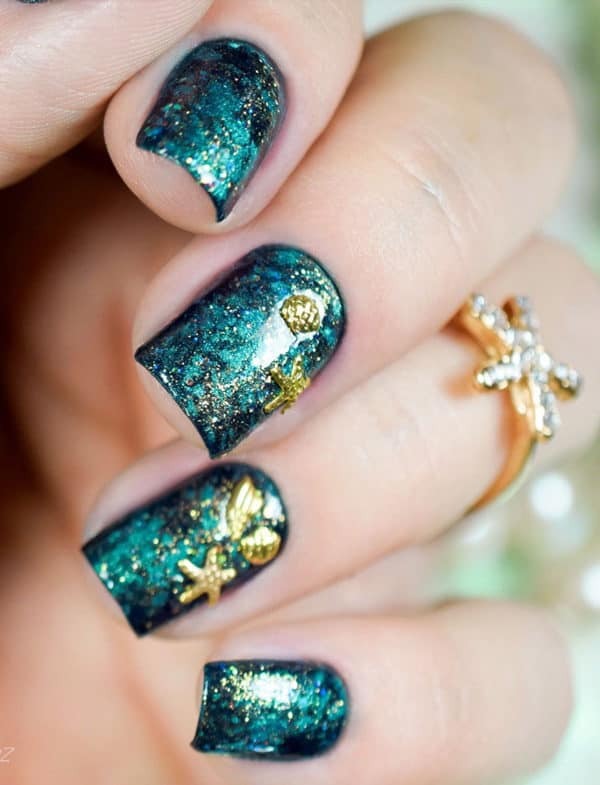 It will be hard to pick a favorite though. 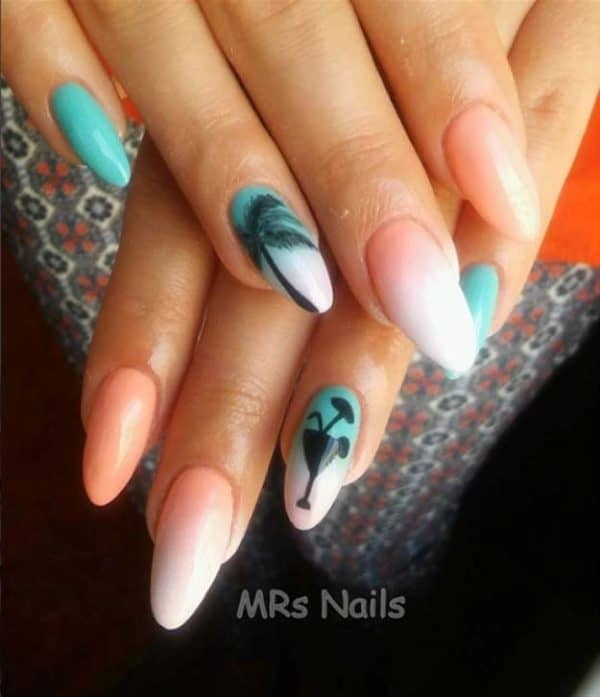 I’m already having troubles choosing between several designs, but I have all the summer to try them all! 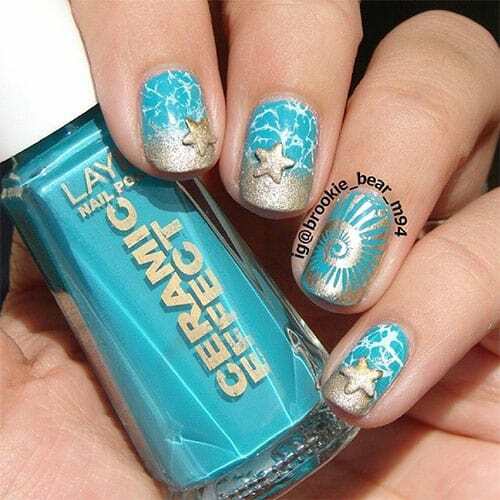 There are so many shades of blue of the ocean and when you combine them with the gold sandy hues you are bound to get an attention grabbing manicure that will get you through the summer in a super stylish way! 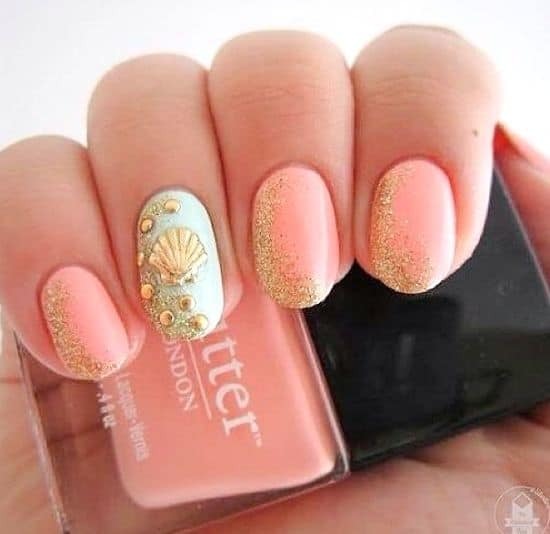 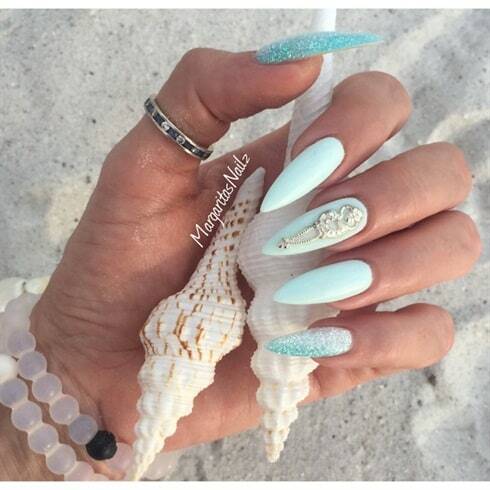 There’s no getting away from the ocean pearls, so if you want to get a sophisticated nail design have them in consideration. 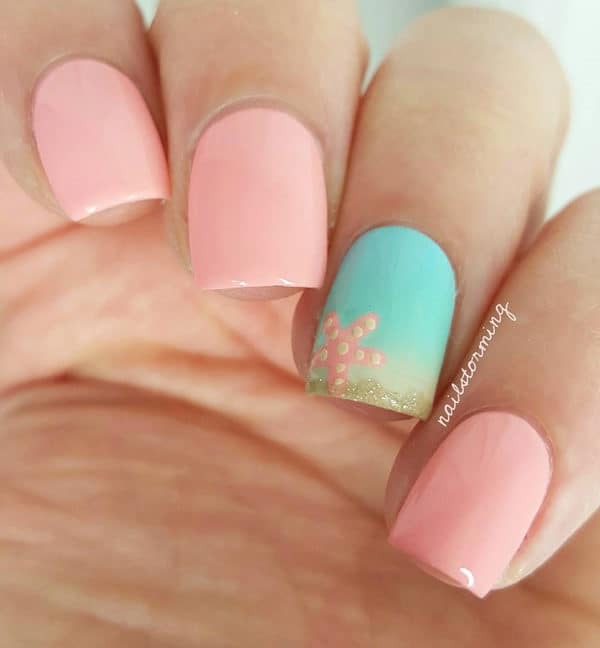 Summertime is the perfect time of the year to have them on your nails. 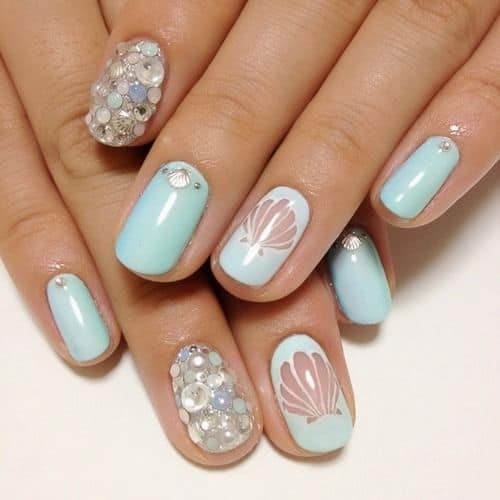 If you are not much into the blue hues, then you can go for the soft pink tones. 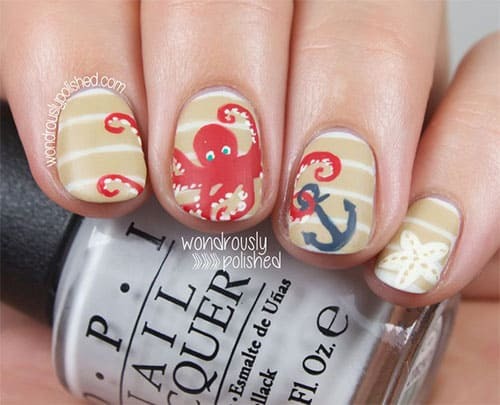 Draw something nautical on one of your nails to break the monotony and you will have a lovely manicure. 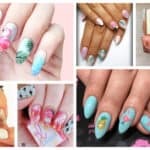 The summer months are ideal for having mismatched nail design, so different design on each nail is totally acceptable. 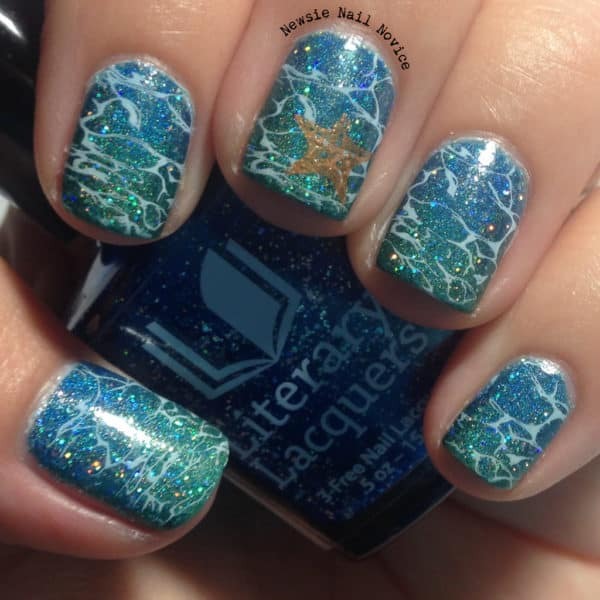 If you are not feeling very skillful to do it on your own, ask a nail professional for help and rock some awesome ocean manicure this season. 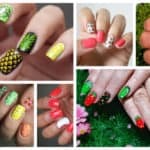 Have you managed to make just one pick or you have made a collection that you can try out all summer long?